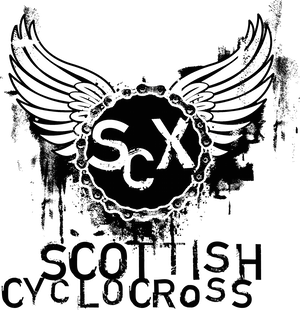 The Scottish Cyclocross Association are delighted to announce a season long partnership with Ridley and Lazer Helmets, which will encompass full series support as well as additional activity at non series events such as the Scottish Championships, and the night time Hallocross in 2013. Having both Ridley and Lazer involved in Scottish Cyclocross in such a dynamic way bodes very well for the colourful scene that has developed here in Scotland. You may be knee deep in Scottish mud, but now there is a part of you that will be forever Belgian. 20th Oct Callendar Park, Falkirk. 24th Nov Irvine Beachpark, Ayrshire. 14th Dec Glengorm Castle, Mull. Bring your bike, bring your cowbell and lets make some noise at the Ridley Scottish Cyclocross Series in 2013. Hi guys, I'm quite new to this, raced a few (falkirk, irvine, fox lake) last year can only make 3 dates this year due to work / family commitments. 1 is fox lake can I race that on a bronze licence? I'm not interested in points or national ranking so don't want silver membership or to buy a race license. Sorry, the Scottish Champs is the only race you'll need a full racing licence for. Bronze membership and provisional licence is just dandy for all other rounds and non-series races. See you on the start line. seem's a shame you can't do the race but the results don't count or something. We agree, but would need to change Scottish Cycling's rules to allow this to happpen.